I Am the Pilot is a rock and roll band based out of Poughkeepsie, New York. In just a few years the band has managed to write, record, tour, and promote the release of their EP, "I Am the Pilot Presents: The Mission" with producer John Naclerio (Brand New, My Chemical Romance). Textured and explosive, the EP includes elements of multiple genres; a showcase of the band's ability to blend influences, from metal to rock, pop and dance. This eclectic electric combination does not come from their inability to find a defining sound but rather a taste of the band's determination to destroy classifications not suitable to their sound. Taking no time off, the band has tour up and down the East Coast, building up a fan base that keeps getting bigger with every trip. Already sharing the stage with some of the most popular bands in the country. While continuing to write, the band has made plans to tour and play more shows. In under a few years I Am the Pilot have accomplished what takes some bands years to do, and they are just getting started. 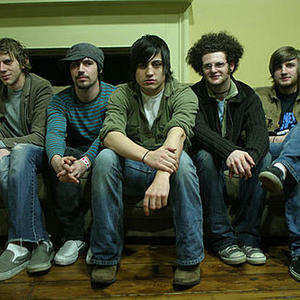 Their new record "Crashing Into Consciousness" debuts on Broken English Records in spring of 2007.